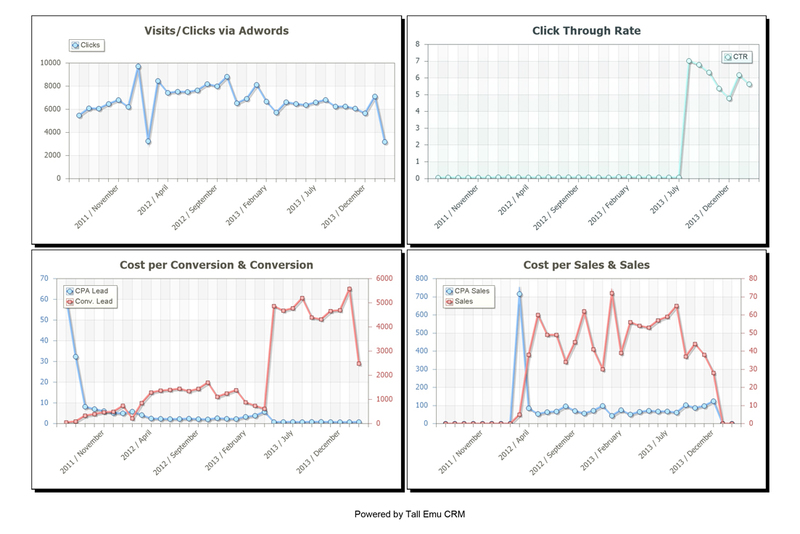 Tall Emu CRM integrates with both Google Analytics and Google adwords, as well as uses it’s own Clickstream technology. 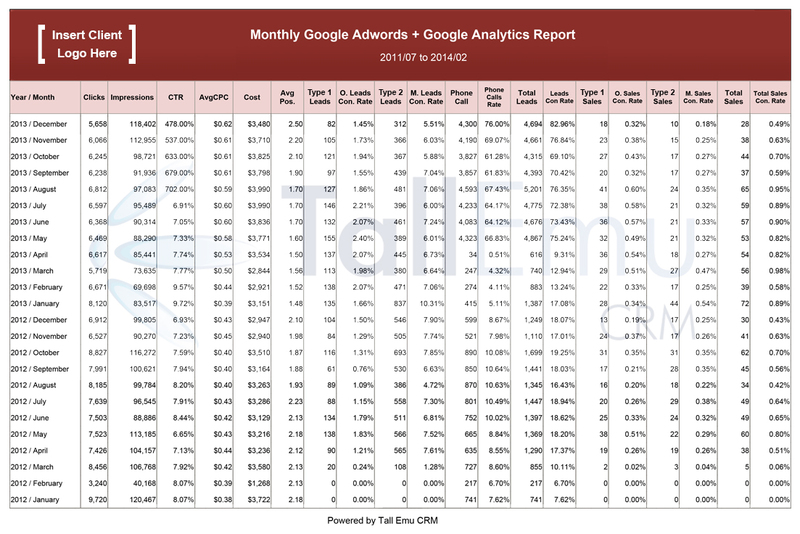 Very often the data needed for reporting is in both the Google AdWords account and in Google Analytics account. Usually there is no easy way to use their reporting tools to combine and order the data in one view; especially on a month to month basis. That’s where Tall Emu CRM can save time. 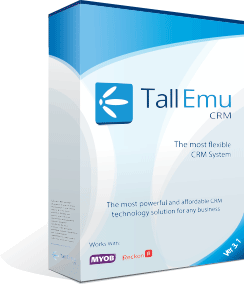 Using Google’s API the Tall Emu CRM software has the ability to build almost any report if the data available to consume. 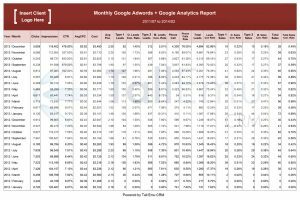 This example report uses both AdWords and Google Analytics data combined / merged into one report. This report is a bespoke report, as this client has two types of customers and there is a separate enquiry and sales process for each. So we track and report on both separately and as a total; but this report brings all that into one report making the data more accessible and meaningful. 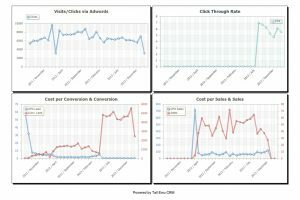 We’ve used variations of this report for other clients and they love it too. 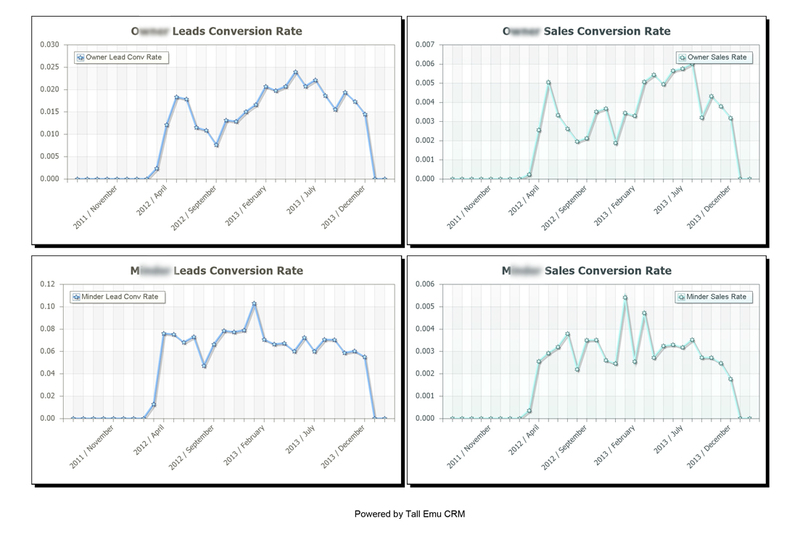 This report is automated and distributed using the Tall Emu CRM workflow. 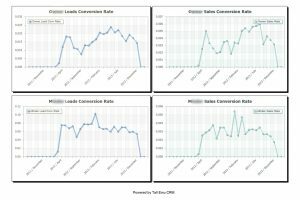 Whether you’re an end-user, an SEM / PPC agency or have multiple AdWords accounts under your stewardship then feel free to talk to us about Automated Google reporting into CRM.